The Arts Theatre, London. 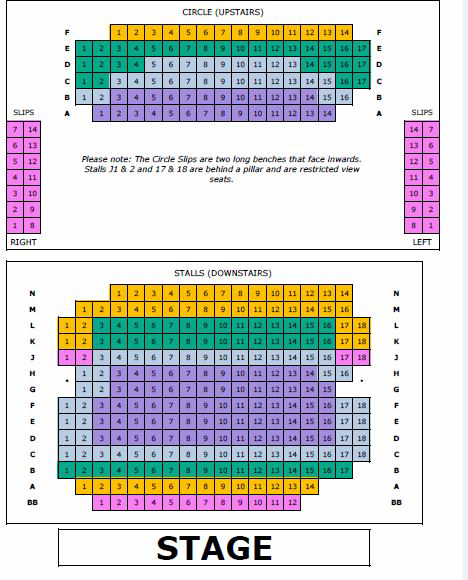 Sunday, 23 Jun 2019 at 7:00 PM. Divorced. Beheaded. LIVE IN CONCERT. From Tudor Queens to Pop Princesses, the six wives of Henry VIII take to the mic to rewrite 'Her-story'. Following a sell-out UK tour, hit pop-concert musical SIX returns to the Arts Theatre. 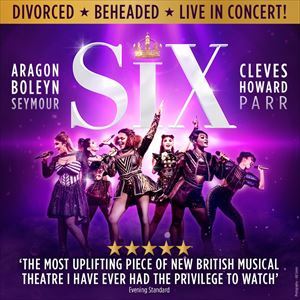 SIX, 'The most uplifting piece of new British musical theatre' (★★★★ The Evening Standard) is the phenomenon everyone is losing their head over! Critically acclaimed across the UK with a sound-track storming up the UK pop charts, the sell-out intoxicating Tudor take-off is back! From Tudor Queens to Pop Princesses, the six wives of Henry VIII take to the mic to tell their tales, remixing five hundred years of historical heartbreak into a 75-minute celebration of 21st century girl power. These Queens may have green sleeves but their lipstick is rebellious red. The homegrown histo-remixed pop-concert musical by Toby Marlow and Lucy Moss returns to the Arts Theatre, London in January 2019.